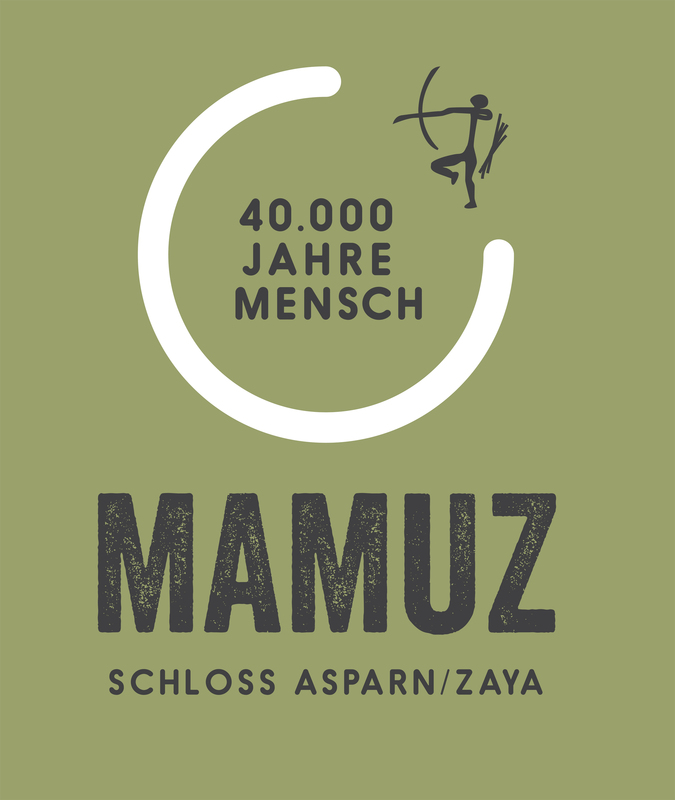 MAMUZ is the new name that combines the Lower Austrian museum of prehistory Niederösterreich Asparn/Zaya and the museum centre Museumszentrum Mistelbach to create a centre of experiences and knowledge covering 40,000 years of the history of the human race. Using the example of its archaeological open-air site, the museum of prehistory MAMUZ aims to show how strategic measures between the two apparently contrary—but actually closely connected—areas of archaeology and tourism can lead to effective academic and economic cooperation. how the lives of people have changed in 40,000 years. The study of prehistoric and ancient historic technologies and archaeological experiments have a long tradition in Asparn/Zaya.Practical experimental inquiry, employed for clarifying the questions of history, have been of central importance at the archaeological open-air site throughout its existence.The museum has been regularly expanded during its fifty-year history, with the addition of prehistoric architectural models, and with the redesign in 2014, displays the exemplary prehistoric residential, farming and trade buildings combined in village-like orientations, with modern and unique presentations of the archaeological objects in the exhibition halls of MAMUZ. In addition to basic academic research, the museum of prehistory fulfils an important cultural and educational mission.To develop creative products within the European cultural landscape, results need to be presented in archaeological research in an entertaining way using educational methods suitable for a museum so that the general public can understand these results. Public events with re-enactments, for example, play an important role for the archaeological open-air site at MAMUZ Asparn/Zaya, utilizing a didactic and entertaining approach in presentating prehistoric and ancient times for the museum’s audience. Three core competencies have emerged over the museum’s almost fifty-year history, which today represent the pillars of the museum. These provide the basis for repositioning prehistory in Asparn/Zaya and in Mistelbach as the MAMUZ adventure museum and centre of knowledge, a destination both for interested laypeople as well as for specialist visitors. The museum of prehistory, as a branch of the Lower Austrian provincial museum Landesmuseum Niederösterreich, has always seen its main task as not only to exhibit museum objects, but also, in particular, to conduct the foundational work, beginning with archaeological excavations and their documentation on to the restoration of artefacts and creation of inventories of collection items and new finds. Implementing research projects on the prehistory and ancient history of Lower Austria, in conjunction with already established research results, leads to new academic publications with impact well beyond the national borders and find interested readers internationally. Interdisciplinary or collaborative research projects in the local and international environment create the basis for a modern conception of history in Lower Austria. Public relations work is carried out in an appealing manner during expert conferences, symposiums and conventions. In addition, with loans of significant finds within Austria, and also at the international level, cooperation is encouraged between museums and specialist institutions. Archaeological experiments and the study of prehistoric and ancient historic technologies have a long tradition in Asparn. Since the archaeological open-air site has existed, importance has often been attached to clarifying historical questions using practical experimental approaches, especially when building architectural models, such as the Neolithic longhouse, Bronze Age beam construction and many others. Since 1982, the archaeological open-air site has also been a training establishment for experimental archaeology for the Department of Prehistoric and Historical Archaeology at the University of Vienna. The location of Asparn/Zaya’s pioneering role throughout Europe in the area of experimental research makes it possible for well-attended courses to be held here annually for students specialising in this field as part of three- and four-day seminars. In the future, MAMUZ Schloss Asparn/Zaya will also ensure that, in cooperation with the Department of Prehistoric and Historical Archaeology at the University of Vienna and with other universities at the international level, the museum remains the first point of contact as a training centre and a place of activity for up-and-coming experimental archaeologists. 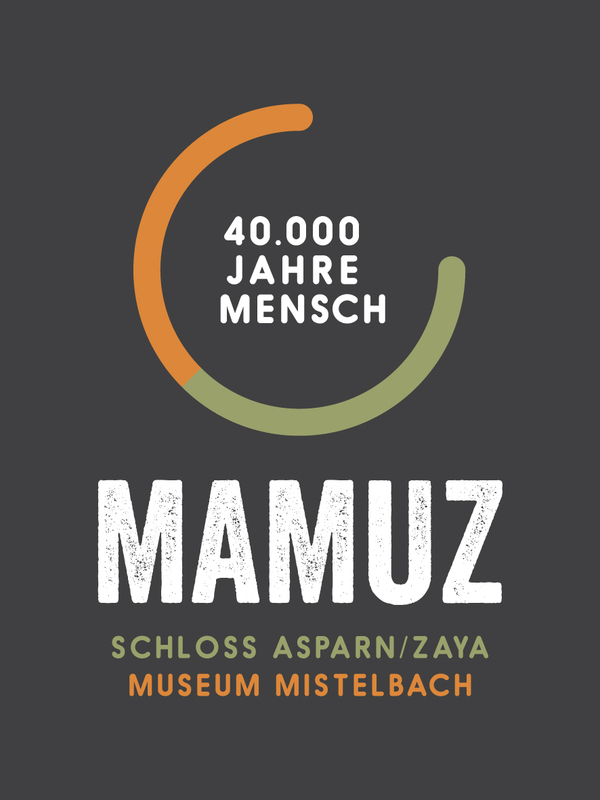 In addition to basic academic research, both MAMUZ museums in Asparn/Zaya and in Mistelbach fulfil an important cultural and educational mission. Public events, with largely authentic re-enactments, represent an important basis for the adventure museum to execute a didactic approach in making the province’s history in prehistoric and ancient times more entertaining. The archaeological open-air site of MAMUZ Schloss Asparn/Zaya is an ideal performance venue for events such as Celt and Hun festivals, as well as for smaller events. These festive shows help turn 40,000 years of the history of the human race into an experience-oriented attraction for a public that is interested in history. As well as families, culture enthusiasts, and people travelling in groups, it is mainly school groups that visit the two museum locations. Actively including visitors, not only in historical celebrations, but also in guided tours and workshops, creates an emotional connection to the history and lives of our ancestors. Special cultural mediation programmes are designed for school classes of all age groups and for groups of adults, and here visitors can choose between guided tours on specific topics, and also adventure and activity programmes. Together with an innovative and interactive exhibition design at both locations, the expansion of didactic information programmes aims to ensure a constant number of visitors at both MAMUZ locations in the medium and long term. To achieve this, it is important to not only regularly bring innovations to museum operation, but also to optimise already established programmes and events / for the public. As part of the positioning as a centre of Lower Austria’s prehistory and ancient history, it was necessary to develop a connecting umbrella brand name for the two separate locations of the two museums in Asparn/Zaya and Mistelbach. The name had to apply to the new museum centre at two locations, and bring about a spontaneous emotional reaction from people, inspiring them to come and visit. With this criterion in mind, it was decided that the name MAMUZ corresponds with this requirement because the mammoth is ideal for stirring emotions as a symbolic animal of prehistory. The name was deliberately chosen as an artificial name and, with correspondingly prepared knowledge contents, would meet expectations for an adventure museum and for a centre of knowledge equally. MAMUZ contains the elements Mistelbach, Asparn, Museumszentrum (museum centre), Ur- und Frühgeschichte (prehistory and ancient history), and is ideal for triggering positive responses, such as curiosity and interest. With the two different colours of olive green—characteristic of the location MAMUZ Schloss Asparn/Zaya—and Mediterranean orange for the location MAMUZ Museum Mistelbach, both suitable colours, from now on will define the look of the two locations and clearly differentiate the outer appearance of the two venues with a shared umbrella brand name. The connecting element is the circle, and also the core statement of the museum: 40,000 years of the human race (See Figures 1, 2 and 3). The claim or mission statement is the key explanation of the new name, which is supposed to stand for a knowledge-oriented adventure museum. Here, for reasons of simpler communication, the two exhibition venues focus on the longest era of human history: prehistory. The archaeological open-air site of MAMUZ Schloss Asparn/Zaya as a place of practical knowledge transfer and experimental archaeology. MAMUZ Schloss Asparn/Zaya as a presentation area for the province’s collection and a meeting place for 40,000 years of the history of the human race. MAMUZ Museum Mistelbach as a topic-focused special exhibition area and as a venue for conferences and symposiums. These three exhibition areas are founded upon the previously mentioned core competencies and will now be explained in more detail. The site of the archaeological open-air is roughly 19,000 m2and affords insights into around 40,000 years of European settlement history. The development of the human race, from the Palaeolithic Age up to the turn of the eras, can be experienced through the residential, farming and trade buildings, and their interior furnishings. The buildings from the Stone, Bronze and Iron Age, constructed on a scale of 1:1, are based on actual archaeological records, such as beam ditches, post holes and fire pits. On account of the scarce archaeological evidence, the architecture and interior fittings of the buildings must be seen as ideal reconstructions and models. All buildings were constructed under experimental archaeological conditions, which means the buildings were made with handicraft techniques from the respective era. The main pathway running through the site leads to the individual residential areas and connects the different collections of buildings with each other. The museum’s archaeological open-air site has been regularly expanded during its fifty-year history, with the addition of prehistoric architectural models. Built with clay, reeds, wood or straw, many constructions had to be renovated or completely rebuilt over the decades due to weathering. Often, abandoned model buildings were also no longer replaced if researchers distanced themselves from the previously created form of reconstruction, or if a better place was sought for realising new models. To better understand the different eras during the forty-thousand-year history of the human race, as part of the redesign in 2012 and 2013 the prehistoric residential, farming and trade buildings existing at the archaeological open-air site were merged into village-like arrangements with a newly designed signposted pathway. As well as the newly built models of archaeological examples, particular attention was paid to landscape planning and landscape management. The new design was not conceived of as a park, but rather as a cultivated wilderness that visitors can actively experience and that primarily uses cultivated plants from ancient history. With the integration of the province’s ancient history and mediaeval archaeology collection, the historical range of finds has been extended since the museum year 2014. For this, there are now three exhibition levels at MAMUZ Schloss Asparn/Zaya for the new display of collections from the history of Lower Austria, from the last Ice Age up to the previous millennium. The main goal of the new display of Lower Austria’s prehistory, ancient history and mediaeval archaeology collection in MAMUZ Schloss Asparn/Zaya, is not to present the collection items in the form of a “showcase museum”, instead to enable visitors without much previous knowledge of (pre)history to have easier access to the histories of the objects by using spectacular exhibition elements. The priority, however, is to present Lower Austria’s archaeological treasures in an attractive and extensive manner. Here, the exhibition architecture tries in a sensitive and innovative way to take up and reflect the theme of the respective rooms. This creates an exhibition design that emphasizes the exhibition objects for the observer. So, with an internationally renowned team of experts under the expert supervision of academic direction, an exhibition has been designed that sets new standards for the presentation of archaeological collection items. Visitors move through the three floors of the palace—starting on the top floor—in chronological order through the different ages of human history. The exhibition concept follows three milestones: living space, metal, and writing. The dominant theme of the first milestone is the cultivation of living space by humans. While in the Palaeolithic Age, people made the best-possible use of the available resources, and in the Neolithic Age they managed to extend the natural wealth of resources. From a period around 70,000 years ago, we have the first pieces of evidence of the first inhabitants of what is today Lower Austria. They shaped their living space according to their requirements and the conditions they found. The Neolithic Age around 8,000 years ago is characterised by sedentism. Humans begin to create the first fields, domesticate animals, and build houses that, in close proximity to each other, often grew into small settlements. Significant finds from the Stone Age, such as the Venus of Falkenstein and the twins from Wachtberg near Krems, are highlighted especially by the exhibition design. The acquired living space is repeatedly rearranged, as humans look for new things and innovations are developed, from around 2000 B.C. the material metal (copper, later bronze and iron) revolutionizes people’s lifestyles and remains important for us today. The second milestone takes the far-reaching discovery of metal as a material to show the different materials that humans have learned to use. On the third exhibition level, visitors enter the historical period since the emergence of writing. Written tradition makes it possible for researchers to also use written sources to interpret material remains and to expand the way we look at past cultures. Using selected exhibits, the exhibition shows that written sources since the arrival of the Romans up to the High Middle Ages are, alongside archaeological research, the most important element of modern academic methods. To give visitors insights into the everyday work of academics, a researchers’ laboratory has been set up on the ground floor of the palace and provides interesting information on the theme of archaeology. Researchers’ desks and recreated excavation sites give insights into the interdisciplinary work of academics and invite visitors themselves to check out how modern research works. A reading library, with many interactive stations, make the researchers’ laboratory an additional exhibition experience at MAMUZ Schloss Asparn/Zaya. MAMUZ Museum Mistelbach as a topic-focused special exhibition area and as a venue for symposiums. The strength of the MAMUZ Museum Mistelbach site lies in the versatility of the content: the exhibition area of around 800 m2 is divided into a ground-level hall and a separate gallery above this. These open rooms provide an excellent opportunity to realise different exhibition designs. This means visitors can be offered new exhibition contents on an alternating basis, and also different architectural ambiences. From 2014, annually changing special exhibition themes that, on the one hand, have a close regional connection to the themes of prehistory and ancient history and, on the other hand, can boast an international reputation. For the years up to 2018, prehistoric themes (blockbusters) are typically planned, which the MAMUZ public is already familiar with. 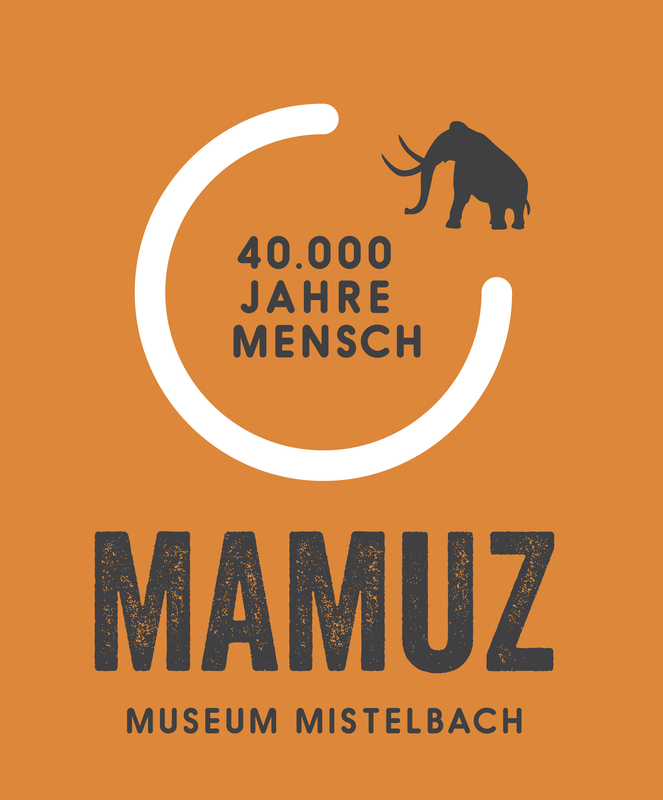 MAMUZ Museum Mistelbach will therefore increasingly help ensure that the new museum name is widely associated with prehistory and can quickly become established as a brand. To meet the future aspiration to be a centre of knowledge, however, it is not only necessary for the museum to present collections at the different locations in Asparn and Mistelbach. MAMUZ Museum Mistelbach offers the ideal setting for events of up to 200 people and, not the least because of the available seminar technology and its available rooms, it is also perfectly suited for academic symposiums and expert conferences. With around 70,000 visitors a year, the museum of prehistory Urgeschichtemuseum MAMUZ plays a significant role for the tourism of the northern part of Lower Austria, and represents an important pillar of Lower Austrian regional studies. It is all the more important to secure the locations on a lasting basis, and expand into a centre of prehistory, ancient history and experimental archaeology with international aspirations. The two locations newly opened in 2014, MAMUZ Schloss Asparn/Zaya and MAMUZ Museum Mistelbach, are adventure museums that are unique in Lower Austria. Visitors of all ages can experience the province’s history from the Palaeolithic Age around 40,000 years ago up to the Middle Ages in a life-like manner. The museum is a member of TOP-Ausflugsziele, suggesting it is a premium destination, and it is therefore also a flagship in the field of tourism for the province of Lower Austria. The museum is the main tourist attraction for the Weinviertel area in particular. Alongside the open-air museum Museumsdorf Niedersulz, the museum of prehistory Urgeschichtemuseum MAMUZ is also one of the most important tourist attractions in the Vienna-Brno development axis.